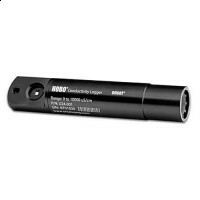 The HOBO U24 Conductivity Logger is a high-accuracy, cost-effective water quality data logger for measuring conductivity and temperature in streams, lakes, and other freshwater sources. 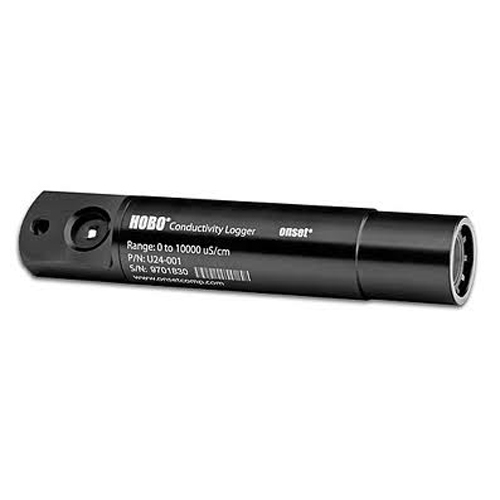 Ideal for monitoring aquifers for saltwater intrusion and road and agricultural runoff, the HOBO U24 Conductivity Data Logger is easy to deploy and maintain. It features a non-contact sensor to minimize drift-related measurement errors, open access to the sensor for cleaning, and software-based drift compensation. Response time - 1 second to 90% of change.